A Middlesex County man was arrested earlier this morning and charged with the recent shooting death of a Plainfield man. Malcolm Bradley, 22, of Edison was located and arrested on Fox St, Edison, NJ several hours ago, announced Union County Prosecutor Theodore J. Romankow. Members of the Union County Homicide Task Force were able to locate Bradley, who was with several other people inside the residence and was arrested without incident, said Romankow. 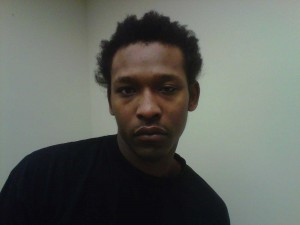 Bradley is charged with the 1st degree murder of Curtis Stroud who was shot and killed around 1:30a.m. on March 16, 2011 in Plainfield. At the time of his arrest a Bradley was carrying a loaded handgun. He also faces weapon charges. Bail was set at $1 million and Bradley is currently being held at the Union County Jail. The New Jersey State Police and the Edison Police Department assisted in the arrest.